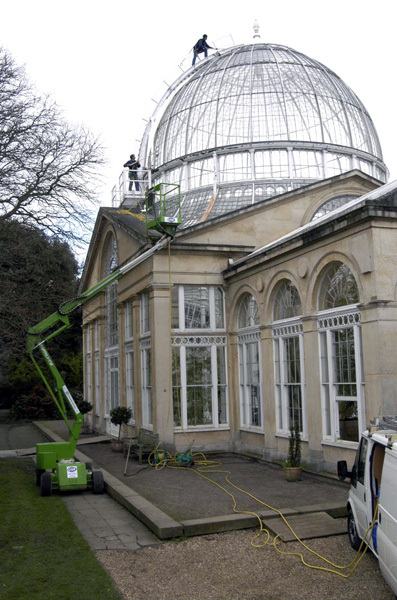 For this case study we must thank Perry Hearne of PKM Cleaning Limited, of Shepperton. 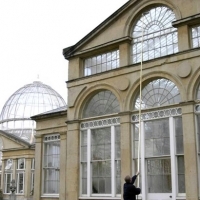 He gave us the opportunity of following him through the various ways he uses Aquafactors aluminium poles on a fine, historic conservatory in West London. 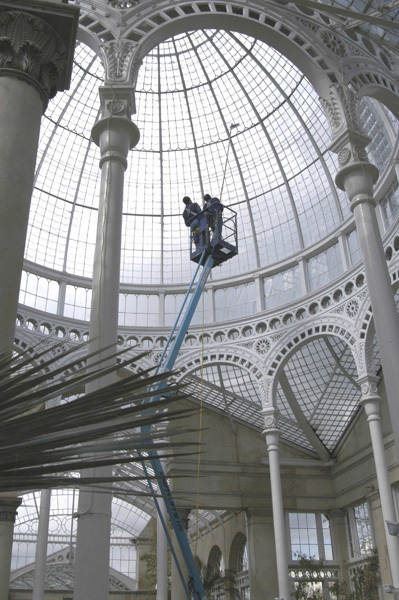 The Syon Park Conservatory is the earliest of its kind in the country. 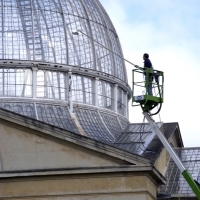 It is a spectacular glass structure with an enormous dome and is the centre-piece of the Syon House gardens. Built in the 1920’s, by the third Duke of Northumberland, it is currently used for various special events including weddings and private parties. 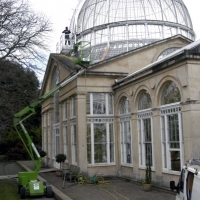 It presents some challenging aspects to clean as the inside as well as the outside is undertaken using the Aquafactors water fed pole system. The area of glass is 744 sq m (8000 sq ft). 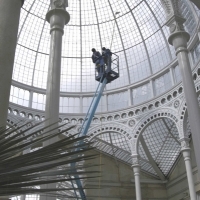 Perry combines standard pole techniques with using shorter poles from a cherry picker. With a building like this a certain amount of care is required. 12″ (30.5cm) and 18″ (45.7cm) double trim brushes are used to get the dirt out of the crevices between the glass and frames. They also ride over the intricate panels with ease. 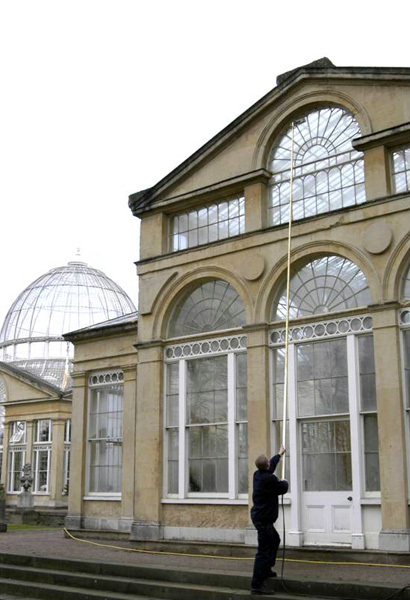 With traditional window cleaning methods the building took 2½ weeks to complete the work. With poles this has reduced to just 8 days and the result is far superior. 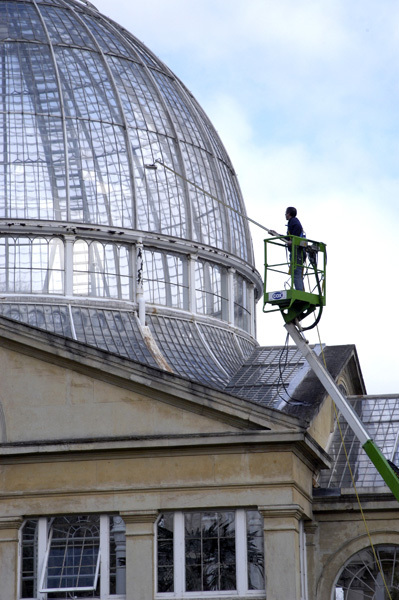 Perry cleans the conservatory twice a year as it is only used six months a year. Perry started his business in 1989. He now has 5 vehicles on the road including one dedicated to Aquafactors equipment. The poles are constantly in use. Customers include DHL, Homebase, Serco and the local National Physical Laboratory site. He prefers the Aquafactors poles because of their lightness, the efficiency and simplicity of the water treatment and the safety.